We have all of the best battery tips, tricks and hacks in one place. … then this is the place to be! 1. Get your hands on some decent rechargeable batteries – it’s better for the environment and your bank balance. 3. Don’t try to recharge non-rechargeable batteries – it will cause a leak or rupture and that’s no use! 4. Rub the battery contacts to clean off gunk – it improves conductivity if you desperately need one last click of the remote, for instance, but won’t make your device last hours longer. 5. Remove batteries from devices before storage – they will eventually leak and damage the device if left for months at a time. 6. Lithium ion batteries last longer – in terms of disposable batteries, lithium ion may cost extra but are high performance and last longer. 7. Use a battery as a phone stylus in the winter – if you’re wearing gloves you can use the negative side to touch your phone screen. 8. Recycle batteries – it’s better for the earth and you can usually find recycle bins at local stores so it’s easy enough. 9. You can mix brands if you need to – manufacturers say you shouldn’t, but that’s because they want you to buy only their brand. Your device doesn’t care which brand of batteries it has inside. 10. Any charger will charge any battery – you can mix brands when it comes to chargers too, all you need to match is the type of battery (you can’t charge rechargeable alkaline batteries in nickel metal hydride chargers). 11. Don’t overcharge your batteries – this can shorten the capacity or cycle life of batteries, so whip them out when they’re done. 12. If a battery won’t charge then you can jump-start it – do this by connecting the dead battery to a fresh battery using any kind of metal at both ends. In the image below, Michael Bluejay uses paperclips. 13. Don’t charge batteries of different charge level in the same charger – more charge flows into the low level batteries which can cause them to become dangerously hot and rupture. 14. Dispose of batteries properly – don’t crush/crumble them or dispose of them in a fire because it can cause a rupture or leak. 15. Don’t carry batteries in your pocket with other metal items – this includes keys, coins etc because it can short-circuit the battery and cause a leak or high heat. 16. Keep batteries away from children – this is an important reminder as, especially small and lithium coin batteries can get stuck in a child’s oesophagus. 17. Large batteries contain smaller batteries inside – if you’re skilled enough to safely open a battery, a 9V contains 6 AAA batteries for example. See below image from Lifehacker. 18. When flying, pack batteries in your carry-on – it’s easier for flight attendants to access if a problem occurs. 19. Keep batteries in their original packaging when travelling – it’s less likely they will short-circuit. 20. Cover loose batteries when travelling – use insulated tape, plastic bags or separate packaging so the batteries won’t come into contact with each other or any metal objects. 21. Use the right battery for the device – for instance, digital cameras use a lot of energy so you need batteries that are suited to high drainage. 22. Add a makeshift connection if you don’t have the right batteries – use some crumpled up tinfoil to turn an AAA into an AA. 23. Have a storage system in place – because how long did you spend searching in random drawers for loose batteries last time? 24. 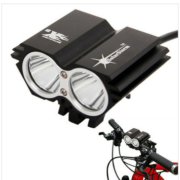 Charge batteries directly before use – when not on the charger, batteries lose a few percent of their charge per day. 25. Store batteries in a cool, dry, non-corrosive place – this will stop the batteries’ chemical reactivity and make them last longer. 26. Fully discharge a Nicad battery before recharging it – this prevents the memory effect and so gives them a longer useful life. 27. Never freeze or refrigerate batteries – you might have heard this tip but don’t do it! It can actually damage the batteries. 28. Use rechargeable alkaline batteries in low drain devices – they are better suited to items such as TV remote controls, portable radios etc. 29. Use devices with child-resistant locks – or which require a screwdriver to open the back in order to prevent kids from popping out the batteries. 30. Turn off devices when not using them to make batteries last longer – it seems like common sense, but we always forget. 31. Testing to see if a battery is dead by whether it bounces or not doesn’t work – engineers from Princeton University tested the theory. 32. 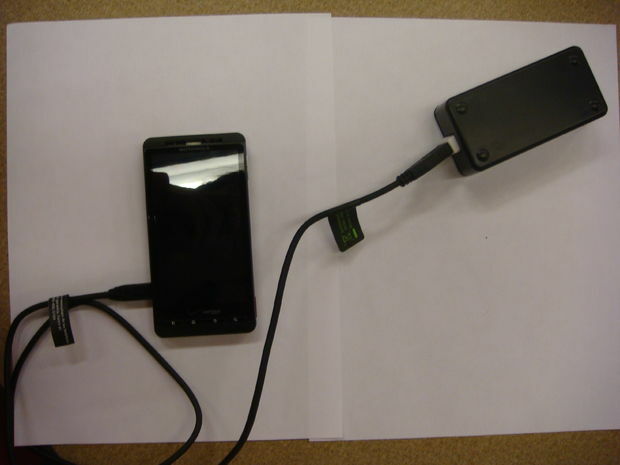 Make your own USB charger with a 9V battery – if you’re into DIY this is the perfect trick for you. 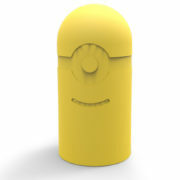 See the below image and find a how to guide at Instructables. 33. Store used batteries in a well-ventilated, non-metal container – before you take them to be recycled. 34. Know which devices have a high energy demand – examples are digital cameras, portables TVs, PDAs, and handheld game consoles. 35. Don’t store used batteries together in large groups – they might not all be completely dead and so could short-circuit. 36. You should also recycle battery packaging – don’t forget to recycle all you can. 37. Clean an alkaline battery leak with vinegar or lemon juice – the liquids will work together to neutralise the discharge. 38. Let cold batteries warm to room temperature before using them – for example if a device has been left in a car in winter, the batteries might need to warm up before they work properly. 39. Never mix battery types – in other words don’t mix alkaline, NiMH and Nicad because the longer lasting batteries will force current through the low performance types when they run out and that can cause corrosion. 40. Never leave NiMh or Nicad batteries fully discharged – charge regularly or crystals start to grow inside the batteries and damage them permanently. 41. Smart chargers are best for rechargeable batteries – they display the charge so there’s no chance of under or over-charging. 42. When buying batteries take a few things into consideration – duration, environmental friendliness, performance and cost. 43. Don’t mix old and new batteries in devices or chargers – this could lead to a leak or rupture. 44. Make a hand warmer for the winter by wrapping a battery in tin foil – it’s a good way to re-purpose a battery you’re not using. 45. The higher the mAh (Milli-Amp per hour) the longer the battery will last after each charge – so you know what to look out for. 46. Take extra care storing and using 9V batteries – the positive and negative contacts are close together so make sure they don’t short-circuit. 47. There are a ton of battery-powered science projects you can make – Energizer has some cool ideas here. See images below. 48. 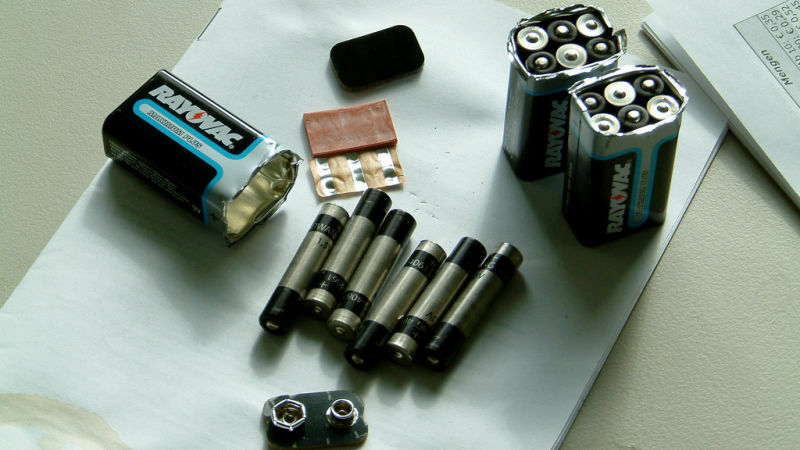 Buy batteries in bulk – this could save you time and money. 49. Don’t use ultra fast chargers – usually, they only charge batteries to 70% because charging them to 100% takes a while. 50. Test each battery when your device runs out – not all batteries discharge equally, so not not all of the batteries are necessarily dead. 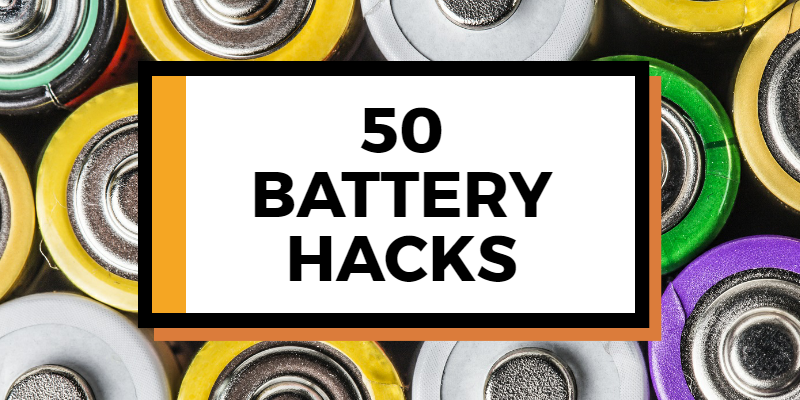 We hope you found all of these battery hacks useful. Now that you have all of the info, you can head on over to Battery Experts, to pick up some batteries! ← Tesla, Green Mountain Power roll out $15/month BTM battery program.